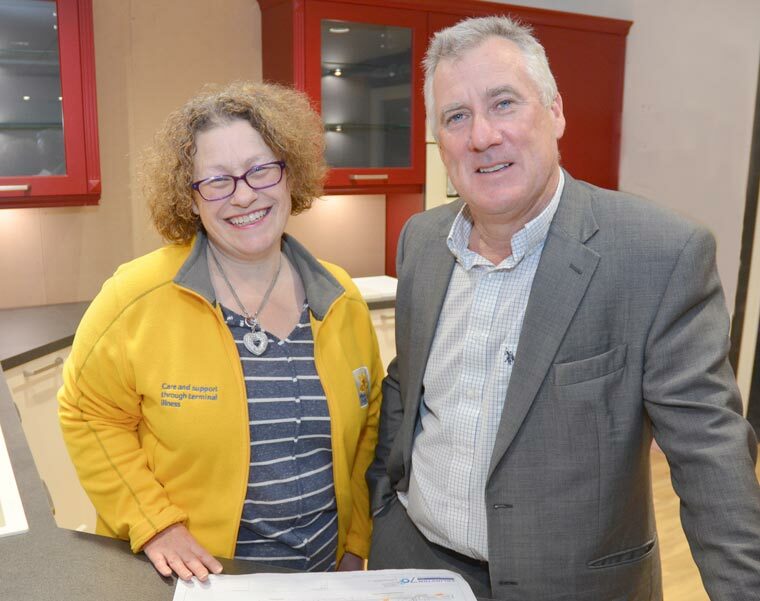 Purewell Electrical Superstore is to support the Christchurch and Highcliffe Marie Curie Fundraising Group by donating the proceeds gained at the new Kitchen Showroom and Smart Theatre VIP preview evening on Thursday, 7 December. The Purewell Electrical Superstore has had a team of fitters from the German factory completing the installation of six individual demonstration kitchens after a £100,000 investment and is welcoming visitors to a VIP preview evening on 7 December between 6pm-9pm. Ian Griffiths, managing director at Purewell, says that the store’s purpose-built 35-seat demonstration theatre is also being upgraded to become a Smart Theatre able to show the remote controlling home electrical equipment including lighting, cctv, tv channels, security, heating, curtains locks, all controlled by tablet, phone and wall controls. “We are completely modernising our first floor display of kitchens, the cook shop, built-in appliances and standalone appliances, since we relocated our store to the Wilverley Road Meteor shopping park just three years ago. “Sales growth has been increasing and we are confident that we can improve our market share by offering a dynamic and common sense approach to the planning and installation of high specification, competitively priced German kitchens,” said Ian Griffiths. The free VIP preview evening will have a festive feel with food and drink. Visitors will be encouraged to try the new technology and watch demonstrations. The local Marie Curie fundraising group team will be present to encourage donations. For more information visit www.purewell.co.uk or call Sue on 01202 484411.